Come help celebrate the Bicentennial of the state of Illinois. Walkers will view the Lincoln-Douglas Debate site & will continue through historic Alton, Illinois. 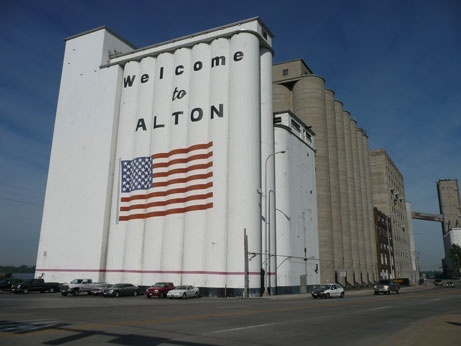 Alton was part of the Underground Railroad during the Civil War & home to Robert Wadlow, the tallest man. Walkers can view the Robert Wadlow the Tallest Man Statue. Those wishing to join the Underground Railroad Tour should make reservations for the 1:00 pm tour by calling 800 258-6645 or sign-up online: visitalton.com/shuttle. Cost $25 per person for a 2 hour tour. Starts at Visitor Center, 200 Piasa Street.